2:42 the Perfect Time for a Pop Song? You Don’t Say. Over at The Morning News, Joshua Allen declares two minutes and forty two seconds the perfect length for a pop song, based on the fact that “There She Goes” by The La’s — perhaps the most perfect pop song ever — is that length. I agree, and indeed said the exact same thing, three and a half years ago. That’s, um, quite a coincidence. In any event, here’s “There She Goes,” as covered by Sixpence None the Richer, coincidentally also coming in at 2:42 (give or take video editing time), and thus, still pretty darn perfect. Traveling tomorrow and lots of stuff to get done today, so I can’t play around here. 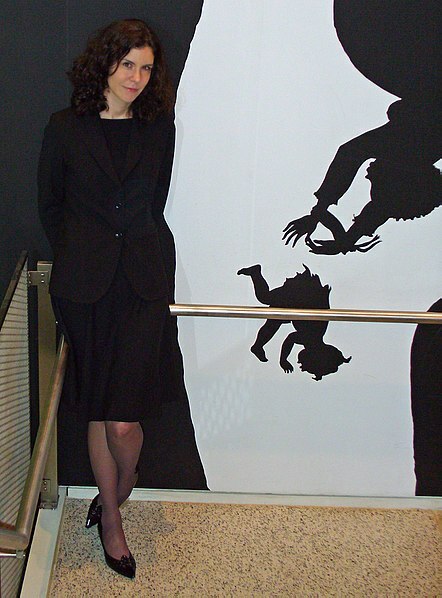 So instead, here’s a shocking confession: I think I have a little bit of a crush on blogger Megan McArdle. Yes, I’m as surprised by this as the rest of you. It’s not like I agree 100% with her views and wish to subscribe to her newsletter. But then, that’s not what crushes are about, are they. And to be sure, this little crush of mine is fairly innocent. It doesn’t devolve into fantasies that start with me calling up McArdle, saying “Meet me at the hotel. Wear your Dagny Taggart ensemble” and then get seamy from there. I guess there’s just something about six-foot-tall, dark-haired, Chicago-trained female econo-bloggers that makes me go “golly.” In one sense, I suppose it’s not a terribly earth-shattering revelation, seeing as I’m married to a 5′ 10″, dark-haired, business degree-wielding Valkyrie of a woman. I apparently have a type. It still snuck up on me, is what I’m saying. In any event, that’s my confession. I feel better having gotten it off my chest. And Ms. McArdle, should you read this, don’t worry. I’m perfectly harmless. If you’re concerned, just let my wife know. She’ll apply the appropriate levels of correction. For the rest of you: Any blogcrushes you’d like to admit to? In the comment thread? Oh, go on. I won’t tell. Really.